30 Empowered Women of Baja California Sur. 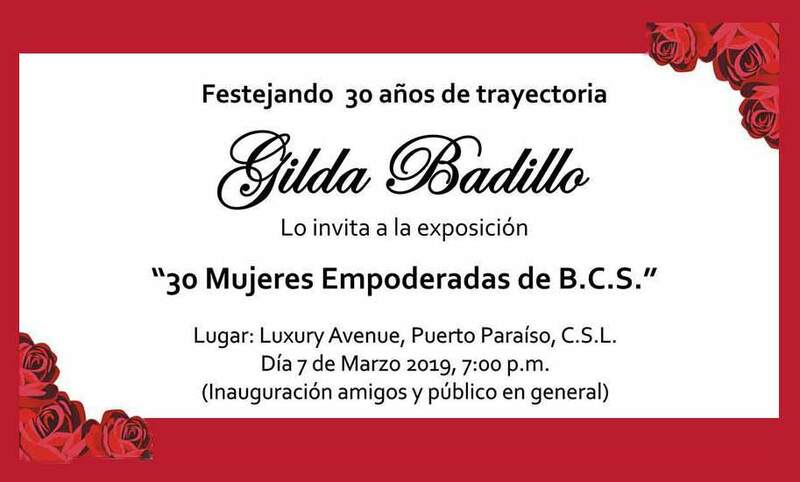 On Thursday, March 7, 2019, local photographer Gilda Badillo, presented her photographic exhibition “30 Empowered Women of Baja California Sur.” A collection of nearly three dozen portraits that reflect successful women of this region. 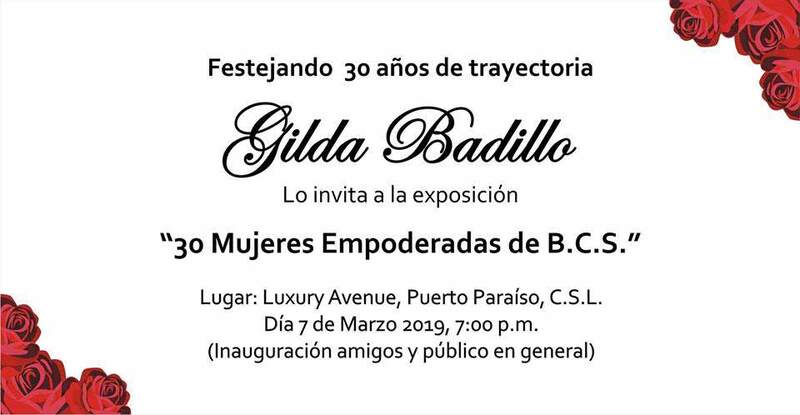 An event that was attended by the Mayor of Los Cabos, Armida Castro Guzman, who was honored with one of Gilda Badillo’s works. The photographic exhibit was presented at the Puerto Paraíso shopping plaza. A festive gathering of friends, family, colleagues, art lovers and the general public, who enjoyed the inspirational images, which focused on modern women who reflect the reality that with dedication and perseverance; dreams come true. Besides the Mayor of Cabo San Lucas, Armida Castro Guzman, the other 29 honored women consisted of Maria Luisa Salcedo, Estela Davis, Gloria Davis, Martha Cruz, Monica Soto, Teresa Polanco, Dolores Heredia, Esthela Ponce, Estrella Navarro, Erendira Valle, Selene Nikizuki Orozco, Sylvia Perel, Rouss Ramirez, Aída Trujillo, Blanca Pedrin, Carolina Hernandez, Ceni Angulo “Mamanchatte”, Donna Brngic, Eufrosina Lopez, Heidi von der Rosen; María Faustina Wilkes “Maestra Fanta”, Minerva Sáenz, Linda García, and Leticia Díaz Rivera. The Gilda Badillo exhibition was based on her 30 years as a world-wide traveling photographer, in which she paid homage to one woman per year. “It was a year’s work, since it was not easy to coordinate. They are very busy women, but the goal was to honor them, illustrating their personality, their eyes, which is the mirror of the soul, capturing their essence in a classical way. Based on classic portraits, like queens; in which they were themselves. Strong and admirable women. 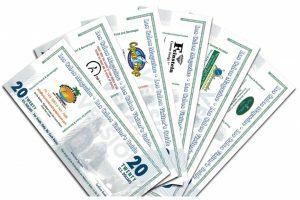 This exhibition was to honor them for how much they have achieved and have given to this community,” said Gilda Badillo. Rouss Ramirez, Armida Castro, Aida Trujillo, Blanca Pedrin, Carolina Hernández, Ceni Angulo “Mamanchatte”, Donna Brngic, Eufrocina López, Heidi Von Der Rosen, Maria Faustina Wilkes “Maestra Fanta”, Minerva Saenz, Linda García, Leticia Díaz Rivera, Margarita Partridge, Mirna Xibille, Paloma Palacios, Samantha Acosta, and Yolanda Razo.